Armello is an excellent fantasy board/card game that's been on Steam since 2015. With (Fahey-approved) DLC and console versions recently released, developer League of Geeks made a curious announcement: the game's DRM-free, non-Steam PC version won't be receiving DLC. "We've had fantastic meetings with GoG about the future of Armello on the platform and although there's no way for us to provide DLC for DRM Free users or to attempt to retain parity with the Steam version of Armello, Armello DRM Free Edition will see features that best suit a DRM Free experience picked across from other platforms into early-mid 2017, helping LoG & GoG (lol) reach our mutual goal of providing users the best possible DRM Free Armello experience." It's an odd explanation, given that plenty of other GOG games have DLC and receive regular updates. What exactly does "no way" even mean? Maybe LoG just doesn't have the necessary manpower to handle it all, especially now that console versions of the cartoon-animal-tastic fantasy game are in the wild. If so, though, they could've just said that. The news comes as a blow to a portion of the Armello community that's already had to put up with late updates and sub-optimal service. It sounds like owners of the newly re-branded DRM Free Edition will receive something in the future, but it probably won't be on level with the goodies everybody else is getting. It strikes me as a bit insulting, honestly. They're basically saying, "Yeah, you guys aren't gonna get the treatment you expected when you first bought the game, but look, now your version has a cool new name! Ooooo, shiny." Nowhere on the game's GOG page, meanwhile, does LoG mention that this version won't receive DLC or maintain parity with the Steam version — which is no longer something they're even trying to do. Sorry, but a name change that sounds like a positive thing isn't enough of a heads-up to prospective buyers. I hope other developers don't take this tact with DRM-free versions of PC games. Armello's a good game, but not a great example to follow. AU Editor Note: We reached out to League of Geeks for comment on the story prior to its Australian publication but they declined to comment. never knew this game existed. im slowly getting into these card based PC games. picked up Hand Of Fate earlier in the year and absolutely love it. started playing Hearthstone for the first time ever a week or so ago, and love that too. any other titles anyone can recommend? Third and fourth for Duelyst. It's several kinds of excellent. Armello is awesome fun but it's not quite the same as hearthstone or Duelyst. It's more a board game. Hearthstone and Duelyst are more like CCGs like Magic the gathering minus the trading part. 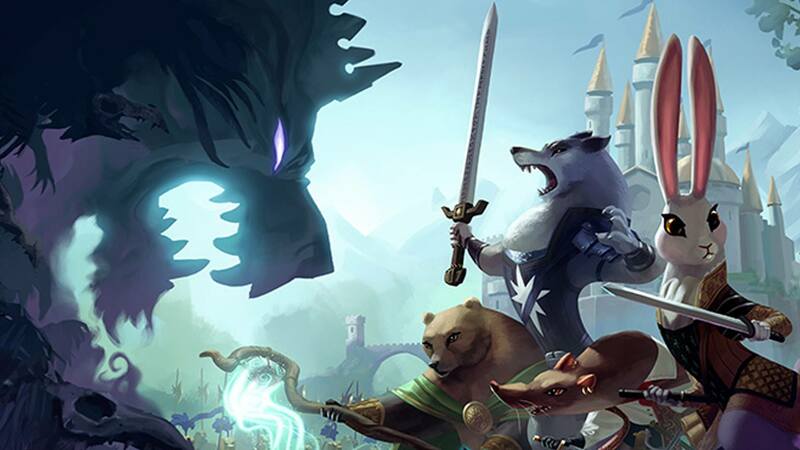 Although as a Duelyst fanboi I think your priority should bet o check it out, if you enjoy board games then definitely give Armello a spin at some point. sweet. will check it out. thanks. If you want someone to play Hearthstone with, let me know as I'm on most days. I'm pretty sure they could support DLC and auto-updates via GOG Galaxy? Everyone else seems to be able to, if they can't, it's simply because they're inept. It is kind of hard to complain, isn't it? I'm not at all surprised that DRM-free customers are treated less preferentially than the ones that "belong to the club" (and give up some liberties for it). I dunno, if they pay the exact same dollars why should they be punished? Not punished. Just not extra-catered to. Their "same dollars' are already getting them benefits (no DRM) over the Steam version, after all.